Whilst I don't have any grand plans to embrace the Good Life and aim for self sufficiency, I do like eating the fruits of my labour. With this in mind I've been gradually incorporating more edibles into our garden. This year adding a herb garden and a couple of fruit bushes. The herb garden, grown mainly from seed is a roaring success. I've made a mojito cake flavoured with homegrown mint. Smudge was incredibly impressed to be eating homemade pesto with basil she helped grow on the kitchen windowsill. 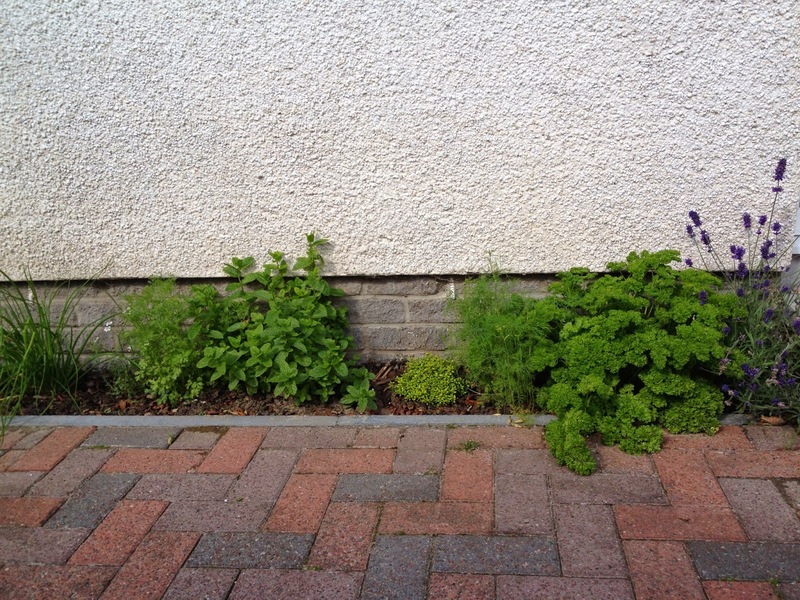 I really must find recipes calling for massive quantities of parsley as it's about to take over the whole patch. But the fruit isn't as big a success, abject failure might be a better description. 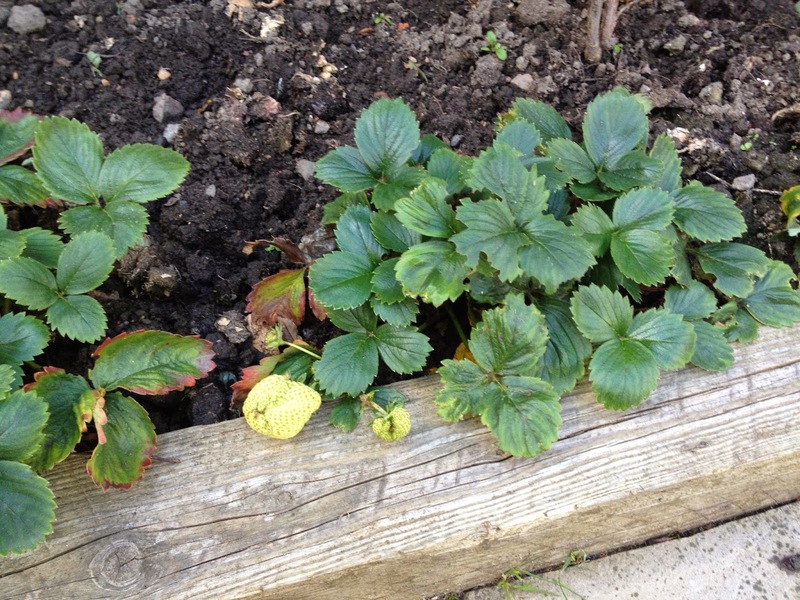 My strawberries might not be too tasty given their still green colour. The plum tree has been in for a couple of years now and has produced fruit. But I'm not getting excited about 1 plum buried so deep in the leaves that it too is failing to ripen. 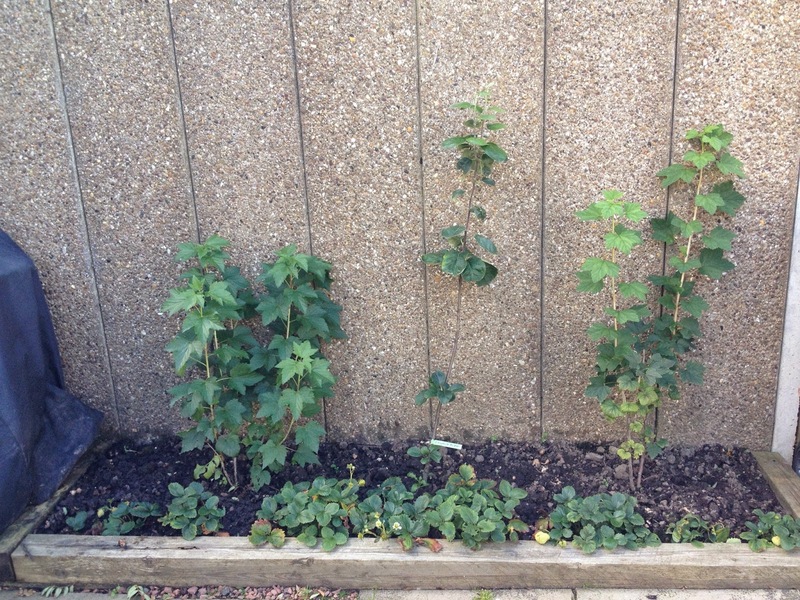 Our bargain from Aldi, blackcurrant and redcurrant bushes are looking lovely and healthy. Unfortunately, one naughty starling ate the entire crop. Given that the crop consisted of 3 blackcurrants I wasn't too cross. The apple tree we picked up at Overton Farm's apple fair last autumn didn't even bother to blossom so no fruit from it either. Again it has grown and is looking healthy enough. I'm planning on working lots of pot ash through the soil to see if this makes any difference. While I'm doing that I'm going to be offering thanks that we live in a time where I can just nip to the shops. It appears that the alternative for me would be starvation, or at least scurvy!